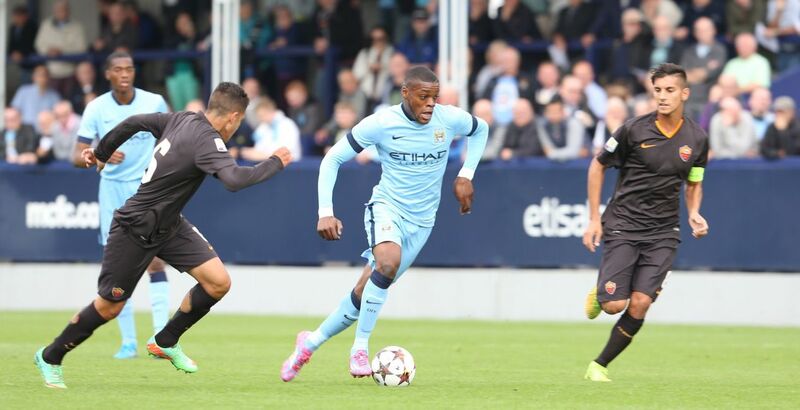 Interest is growing in Manchester City youngster, Olivier Ntcham, who has been parked at Serie A club Genoa since August 2015, but looks set to be returned to his parent club next month. The 20-year-old midfielder has become more noted for his antics off the pitch than on it in Genoa, having been repeatedly fined by police for not having a driving licence. After fines of €30,000, he now faces a criminal trial and with his performances on the pitch not impressing the Genoa fans, the Italian club look set to decline their option to buy the Frenchman. Despite patchy form following a promising start in Italy, Ntcham is still attracting interest across Europe. According to RMC Sport, a number of clubs would be keen on signing the Parisien, notably RB Leipzig, who are currently second in the Bundesliga and are famed for their ability to spot and develop young talents. In England, Bournemouth have also made contact with his agent and the opportunity to play in the Premier League could present itself. And a number of Ligue 1 clubs in his homeland also like the combative midfielder, who is in need of a move to continue his development as a footballer. RMC Sport does not clarify whether Ntcham’s next move from City would be a loan or permanent deal. The Blues sold another French midfielder, Seko Fofana, to Udinese last summer, and his value has soared, with Leipzig and Borussia Dortmund among the clubs to have recently scouted him.